A new phase 2 study is using a combination of immunotherapies to treat malignant pleural mesothelioma. 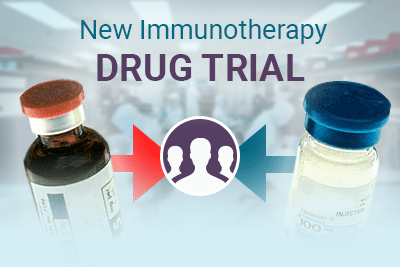 In this trial, researchers are testing the safety and efficacy of two immunotherapy drugs: durvalumab and tremelimumab. By combining two drugs that have shown great success in combating other forms of cancer, researchers are anticipating to find a new approach at treating patients that have malignant pleural mesothelioma. Both durvalumab and tremelimumab have been used to treat mesothelioma before, but this will be the first time that they will be tested together to combat the disease. The drug durvalumab is a PDL1 inhibitor, it aids the immune system in finding cancer cells that are hiding. The drug tremelimumab is a CLTA-4 antibody that aids in boosting the immune system. Both durvalumab and tremelimumab work in similar ways. Tremelimumab is thought to help improve the effect of durvalumab. If researchers’ hunches are correct, the combination of these two immunotherapy drugs may help slow the growth of cancer cells and kill them. 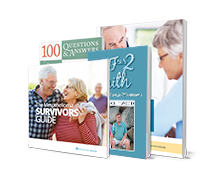 Researchers are planning to enroll at least 40 participants for this phase 2 study. 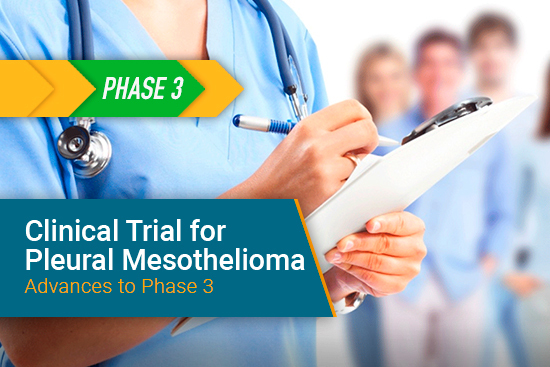 To qualify for this study, a patient must have inoperable malignant pleural mesothelioma and they must have tried first-line chemotherapy and it was unsuccessful. Participants will receive both durvalumab and tremelimumab via intravenous infusion, once per day, for a 28 day cycle. During the study, participants will receive tremelimumab for only 4 doses but will continue to receive durvalumab until the end of the study. This st udy is occurring at the Dana-Farber Cancer Institute, which is an institute that has departments at Brigham & Women’s Hospital. This hospital is known for being the home of the International Mesothelioma Program (IMP). IMP consists of clinicians, researchers and supportive staff that live by the philosophy of “providing quality life extension leading to a cure.” This program has over 20 years of knowledge in both clinical and research experience to help achieve this goal. Head of the study is Dr. Mark Awad. Dr. Awad is a thoracic oncologist. His research is focused on understanding the mechanisms of both response and resistance to immunotherapy in lung cancer and mesothelioma. He is strongly involved and dedicated to developing novel therapies for lung cancers with mutation genes in them. This study is recruiting patients now. 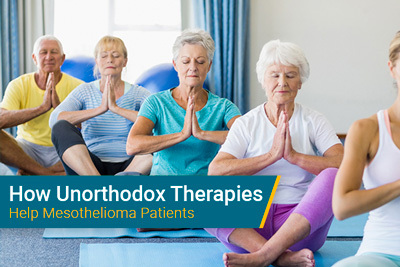 To learn more about this study, please feel free to contact Mesothelioma Guide’s nurse Jenna for more information. ClinicalTrials.gov. A Phase 2 Study of Durvalumab in Combination With Tremelimumab in Malignant Pleural Mesothelioma. Retrieved from: https://clinicaltrials.gov/show/NCT03075527. Accessed: 05/02/17. ClinicalTrials.gov. Durvalumab and Tremelimumab in Patients With Advanced Rare Tumours. Retrieved from: https://clinicaltrials.gov/ct2/show/NCT02879162. Accessed: 05/03/17. IMP International Mesothelioma Program. IMP’s Philosophy of Personalized Mesothelioma Treatment. Retrieved from: https://impmeso.org/. Accessed: 05/03/17.